1 can blueberry pie filling (Grandma always used the Wilderness, Duncan Hines brand). Crush ½ box of vanilla wafers into fine crumbs. 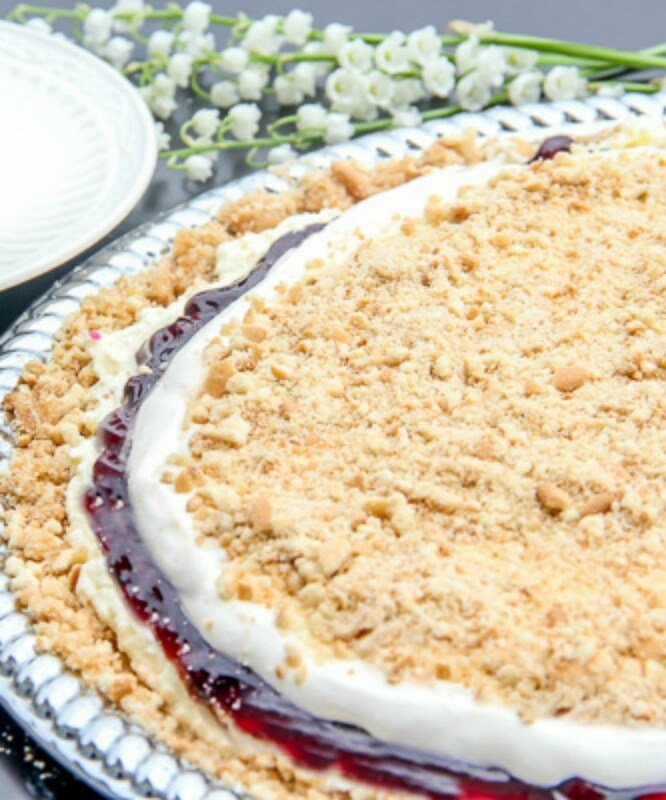 Pour the crumbs evenly into the bottom of a pie plate, saving half for the top. Whip all filling ingredients together. Spread over crumbs. 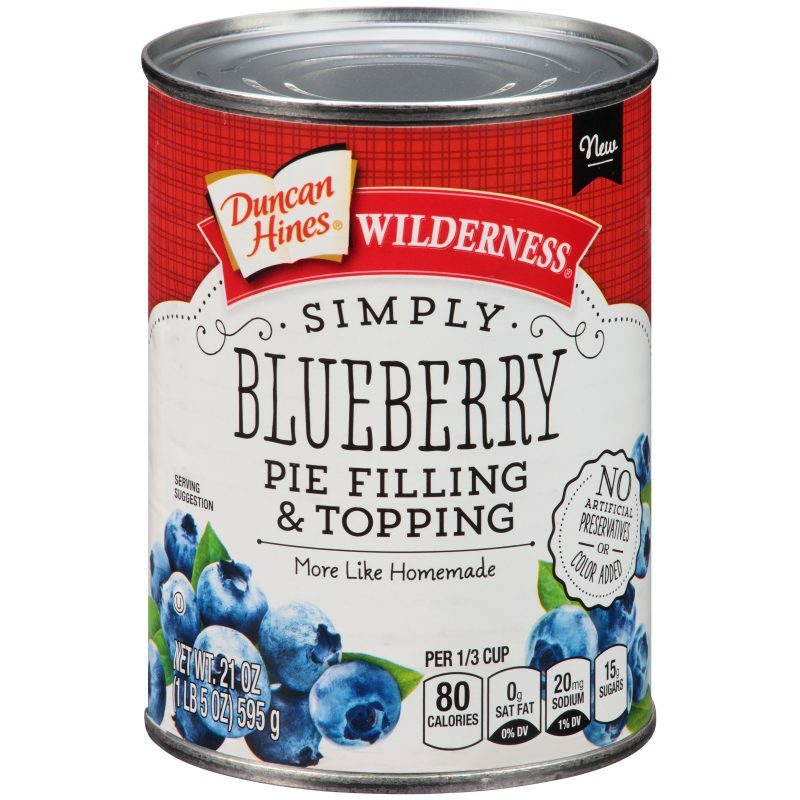 Over the filling mixture, spread the can of blueberry pie filling. Spread sweetened whipped cream over the top, and sprinkle with remaining vanilla wafer crumbs. Chill for at least an hour. No baking needed! Eat with your favorite moose! I don’t know if my grandma did this, but anything closely resembling gooseberry pie is going to be a hit with a moose! 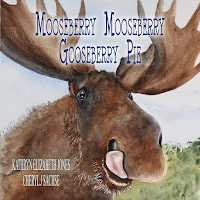 Mooseberry Mooseberry Gooseberry Pie is silly sensational fun! Whether the fun is swimming in the summer heat, singing the next up-and-coming hit, or holding your feet up from dancing too long, expect your favorite moose to be doing it! 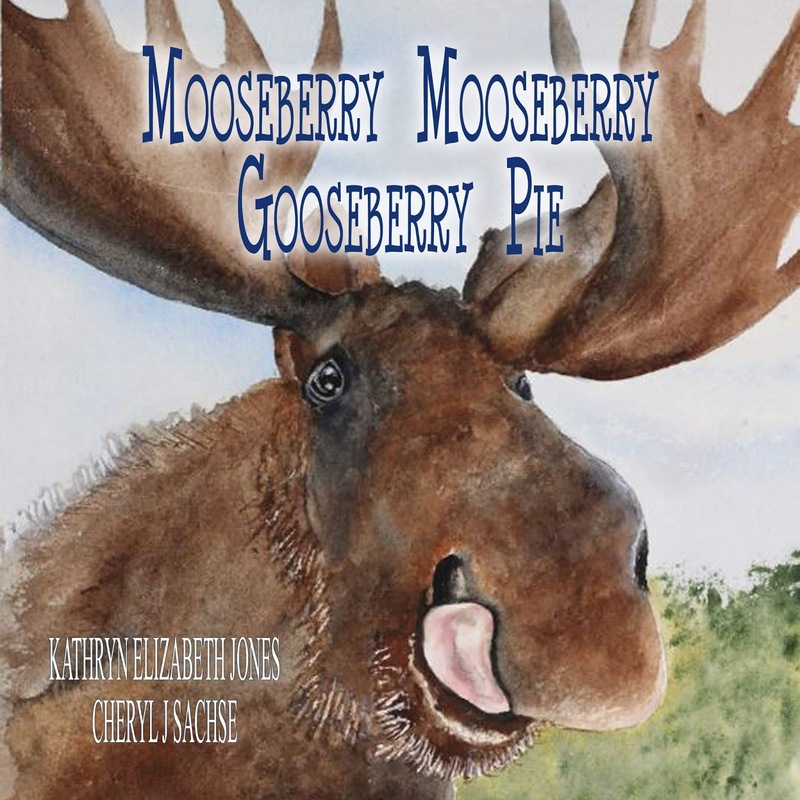 The nonsensical rhyming wordplay by Kathryn Elizabeth Jones, as well as the vivid watercolor illustrations by Cheryl J. Sachse, make this delightful book something to read often, whether you’re being read to, or tackling the fun words on your own! So, sit down and take a load off! And hand me some of that gooseberry pie, will you? Buy Link: FREE Nov. 27th thru Dec 1. 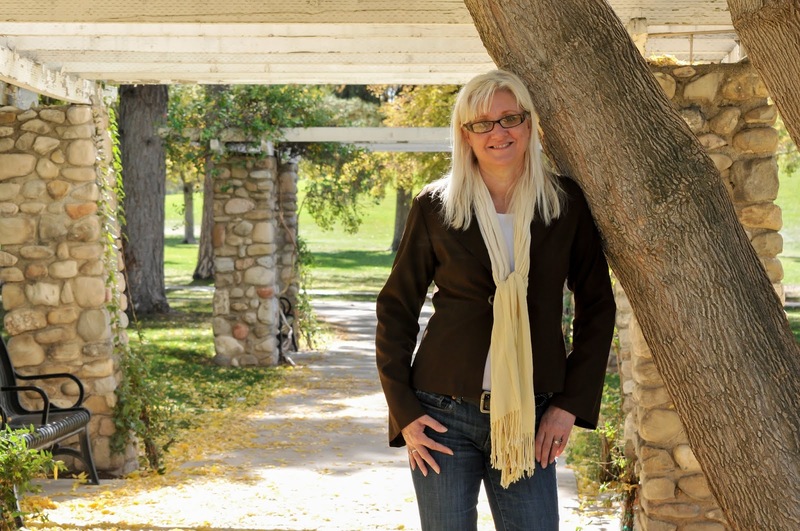 Thank you, Kathryn, for visiting and sharing! I had to check this out just by the name. It's not everyday there's moose in the name of a dessert. Great recipe and one I'm keeping for the summer. Thanks for sharing! You're welcome. You might want to check out the FREE book tomorrow through December 1 as well.